Recruiting awesome employees is always a challenge. But with unemployment at a nearly 50-year low, finding, interviewing and hiring staff has become more competitive than it has been in decades. This e-book examines trends in recruiting and interviewing and offers tips for employee recruitment giveaways that will help you find your next stand-out staff member. To get a better grasp on the job interview process in the United States, 4imprint surveyed HR professionals across the United States at a human resources conference and via an online survey. Data was collected in October and November 2018. 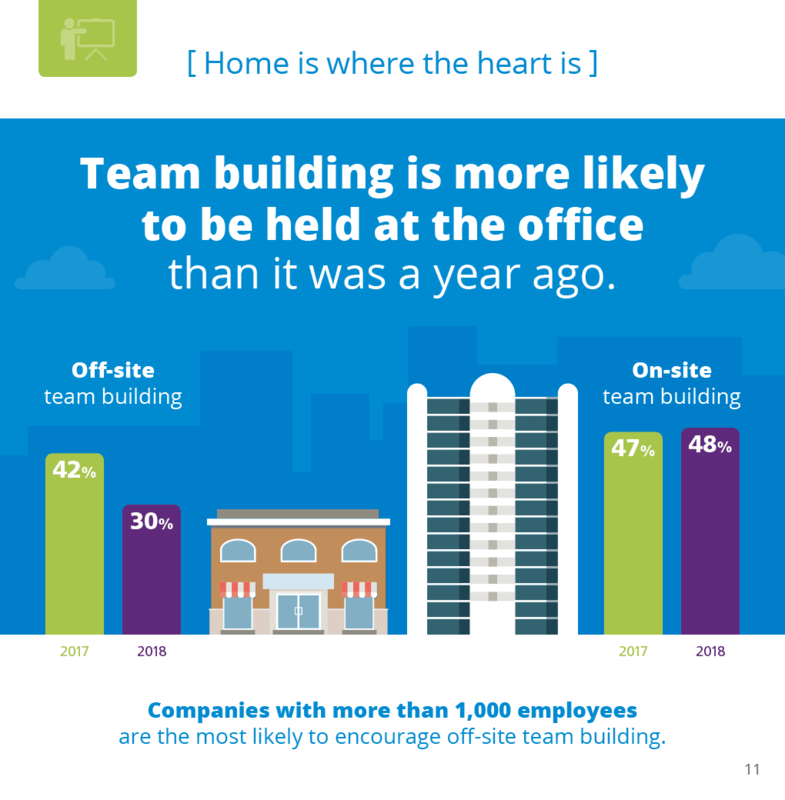 Learn which recruiting strategies work. Low unemployment is a wonderful thing. It means the economy is thriving and business is booming. 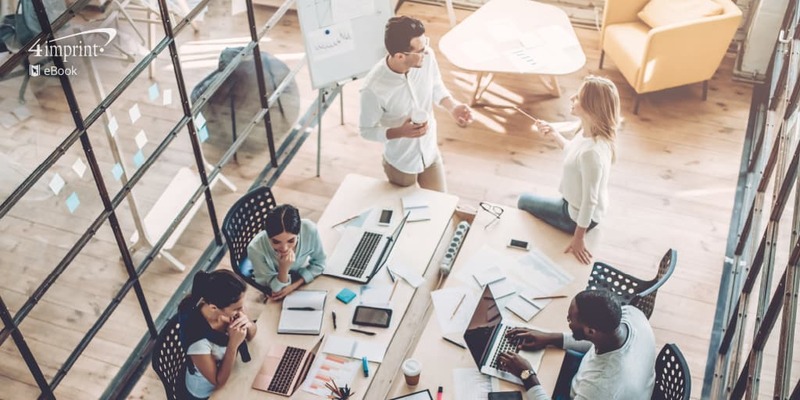 For HR professionals, the thriving economy and low unemployment rates mean employers need to be at the top of their game when it comes to attracting new team members. 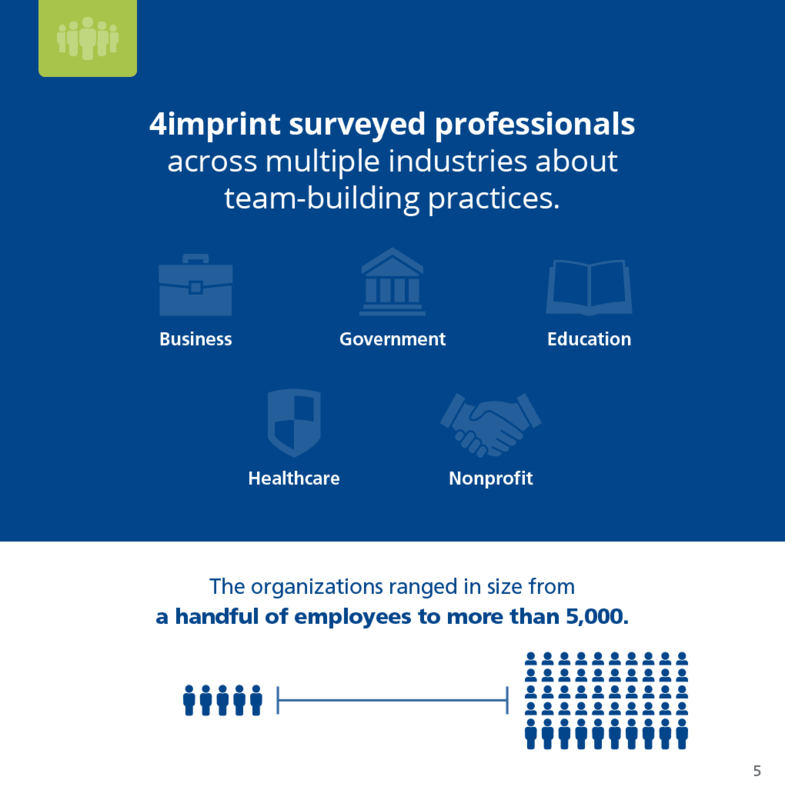 To see how organizations are finding success with recruiting, we surveyed hundreds of HR professionals across the country. This e-book is the result of our deep dive into that data. In the pages that follow, you’ll learn how traditional and digital recruitment channels compare. You’ll also find how culture, education and experience are used by HR pros to assess candidate fit—and which of those they believe is the most effective predictor of success. 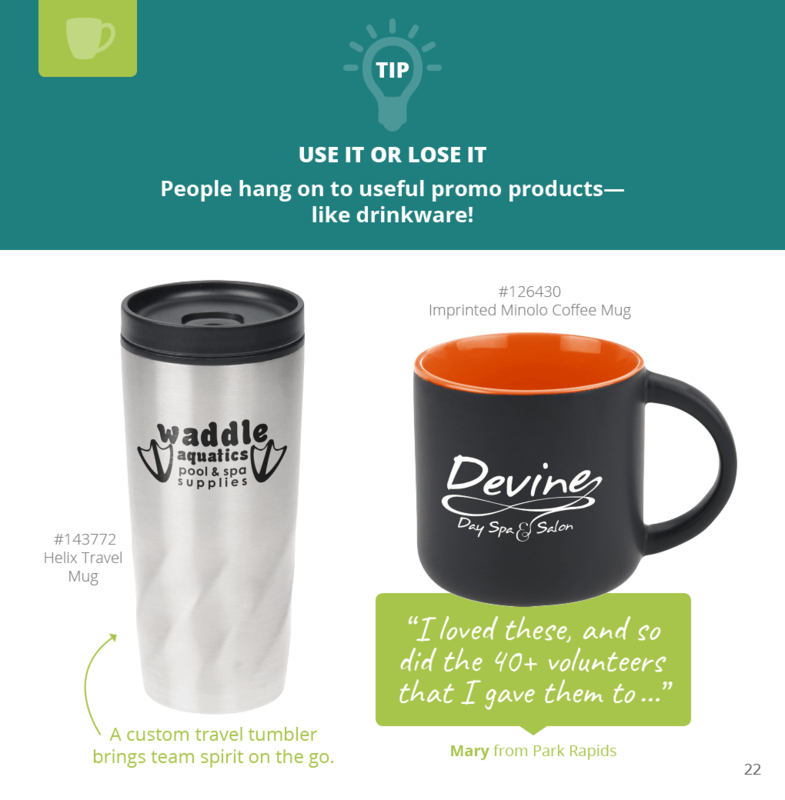 And, we share how employers are using promotional products to take their recruitment to the next level. 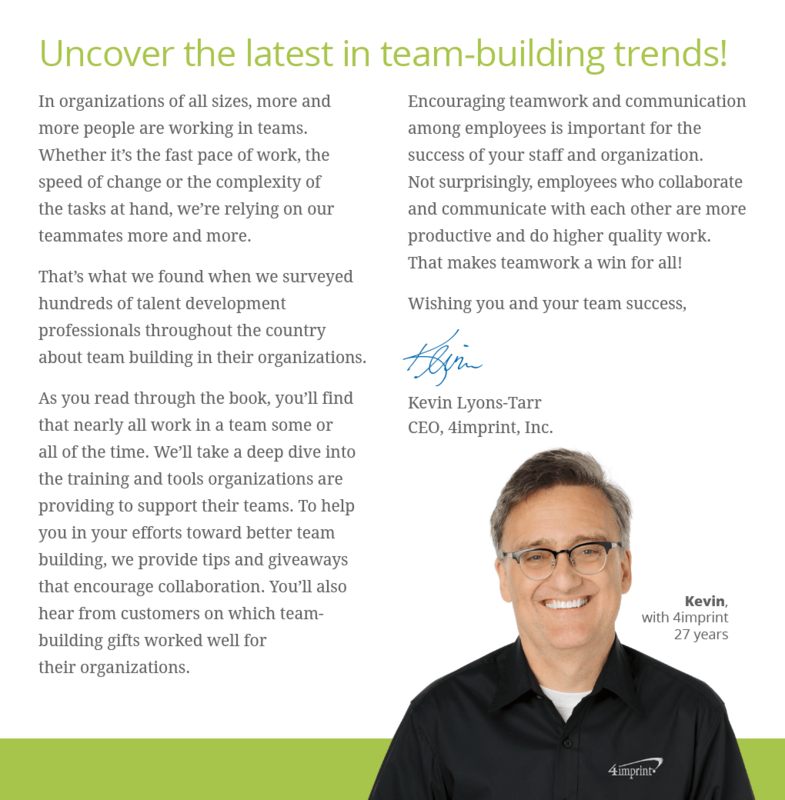 We hope this e-book helps you in recruiting your next great employee. 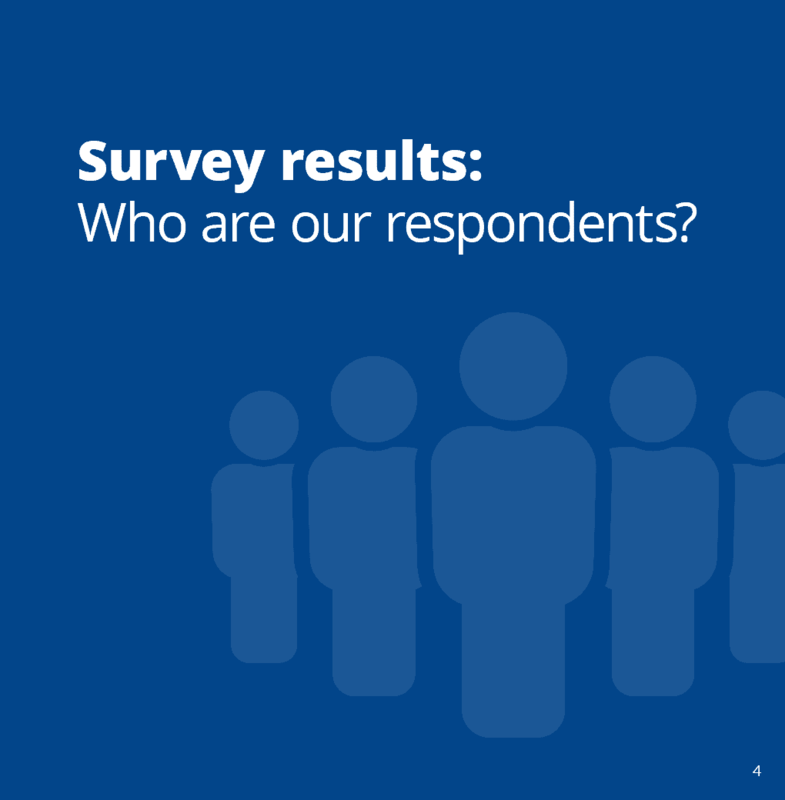 Survey results: Who are our respondents? 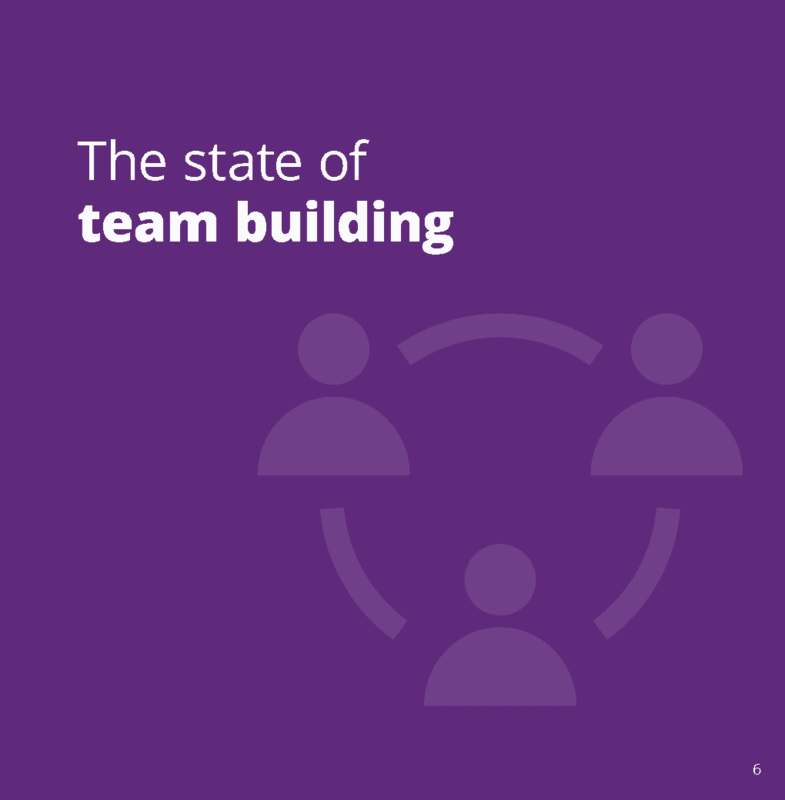 The organizations ranged in size from fewer than 10 employees to more than 5,000. Even as the world becomes a more digital place, companies are still recruiting employees with a variety of online and offline methods. HR pros say the most popular recruitment methods are also the most effective. In fact, survey respondents said employee referral programs are more effective than any other two methods combined. Some employers use additional assessments in the interview process. 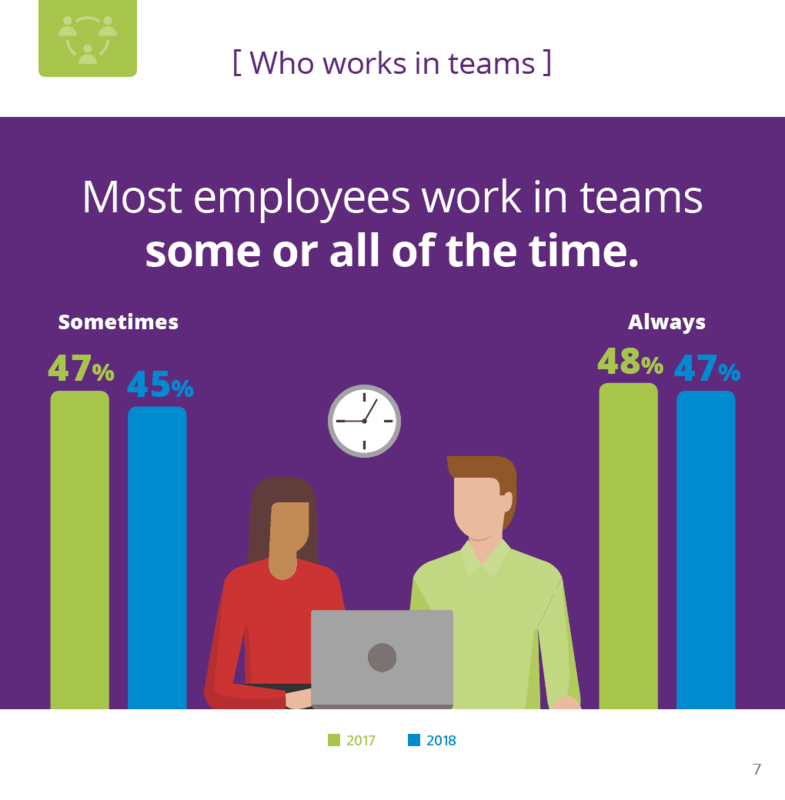 Human resources representatives and managers are most likely to be involved in the interview process, according to survey respondents, while co-workers and teammates are only involved about one-third of the time. 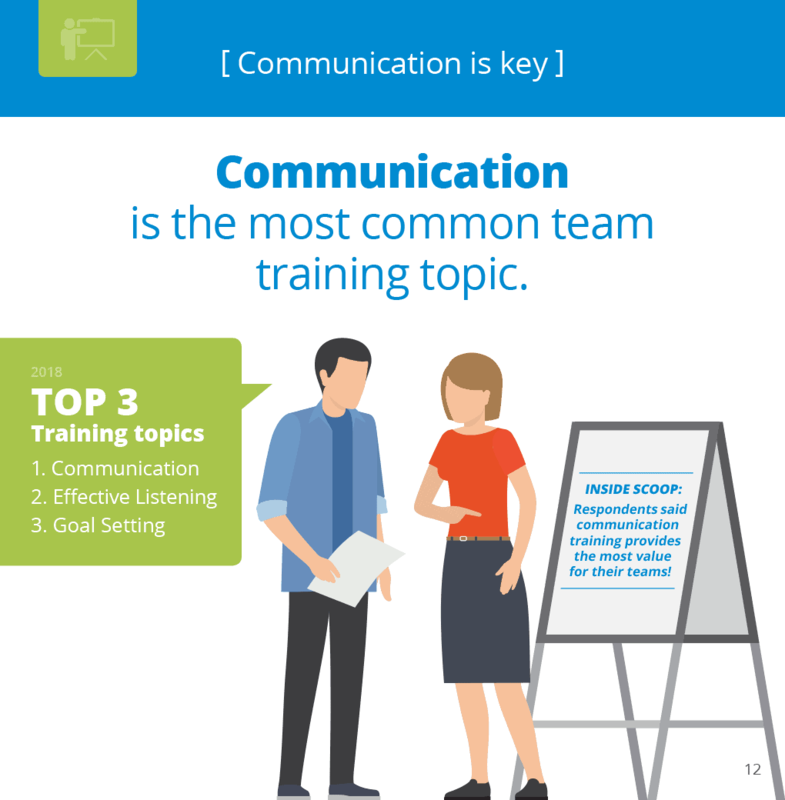 Most companies take time to train HR associates and managers on interviewing. 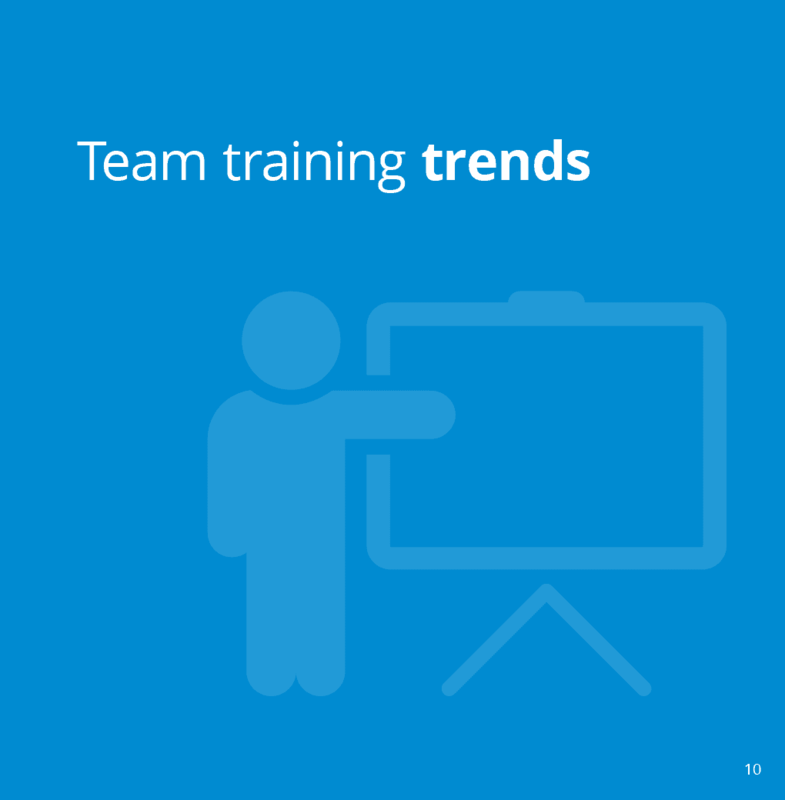 77% of the time, that training is provided by HR. 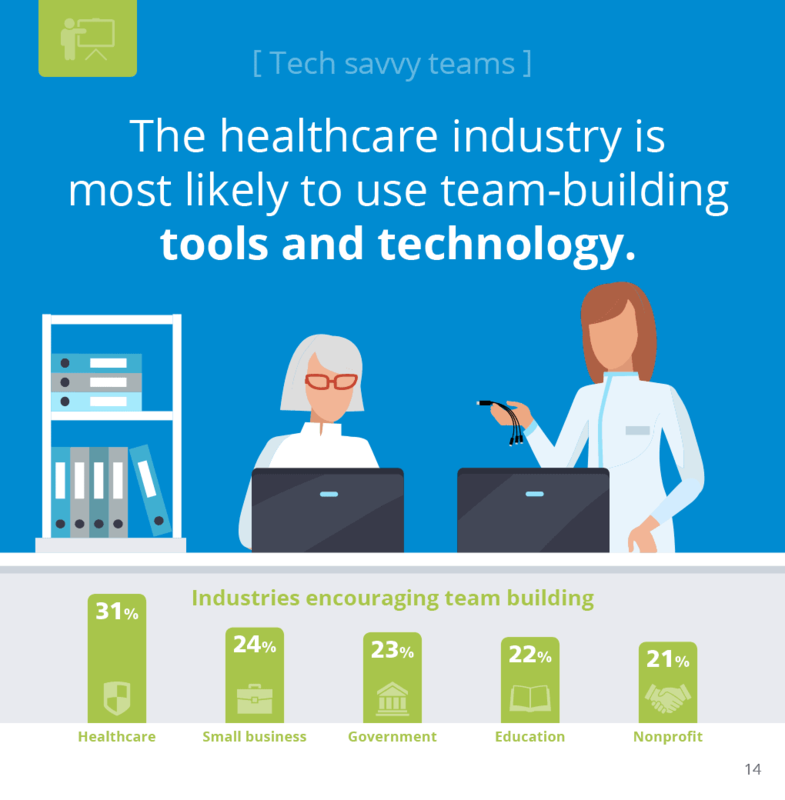 58% of companies provide training. Qualifications and work experience are the two most evaluated attributes during the interview process. Cultural fit is considered the most important attribute. majority of giveaways offered during job fairs and on the employee’s first day. 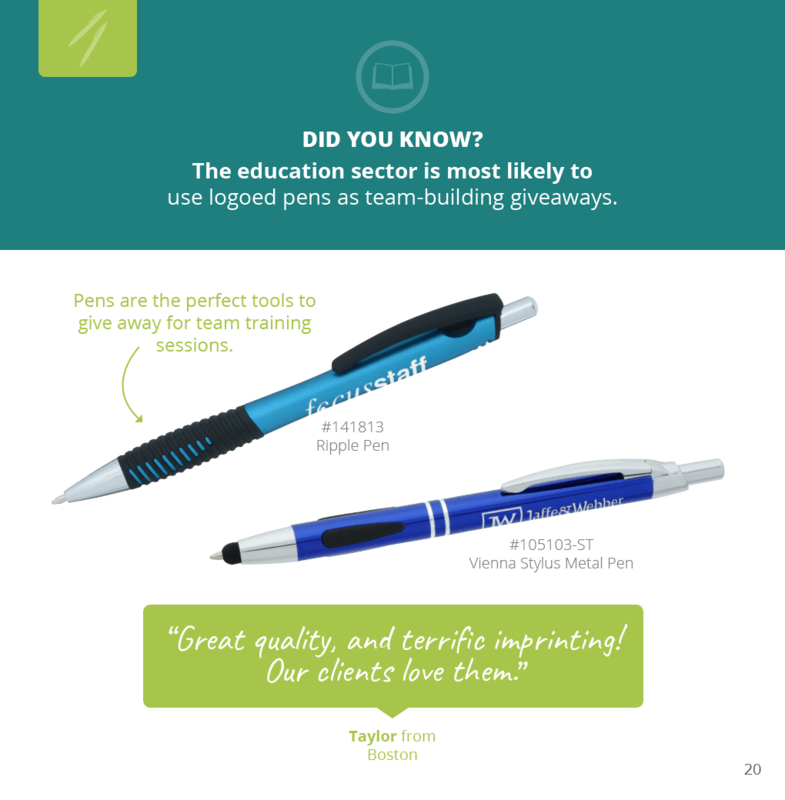 61% of organizations use logoed pens for the recruiting or interview process, which makes pens the most popular employee recruitment giveaways. business card during a networking event. 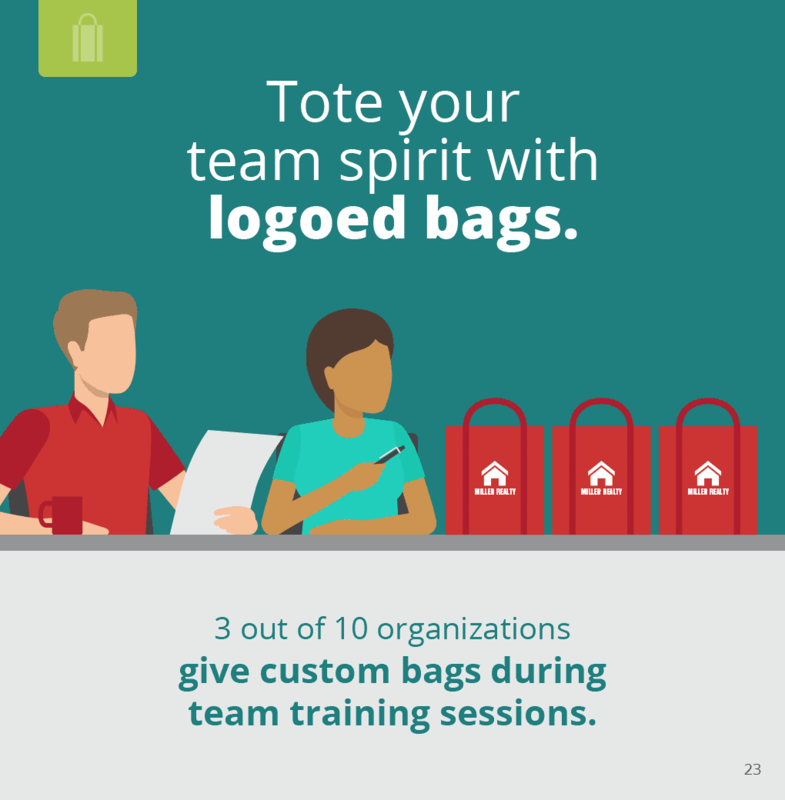 1 out of 3 organizations surveyed offer custom tote bags during the hiring process. 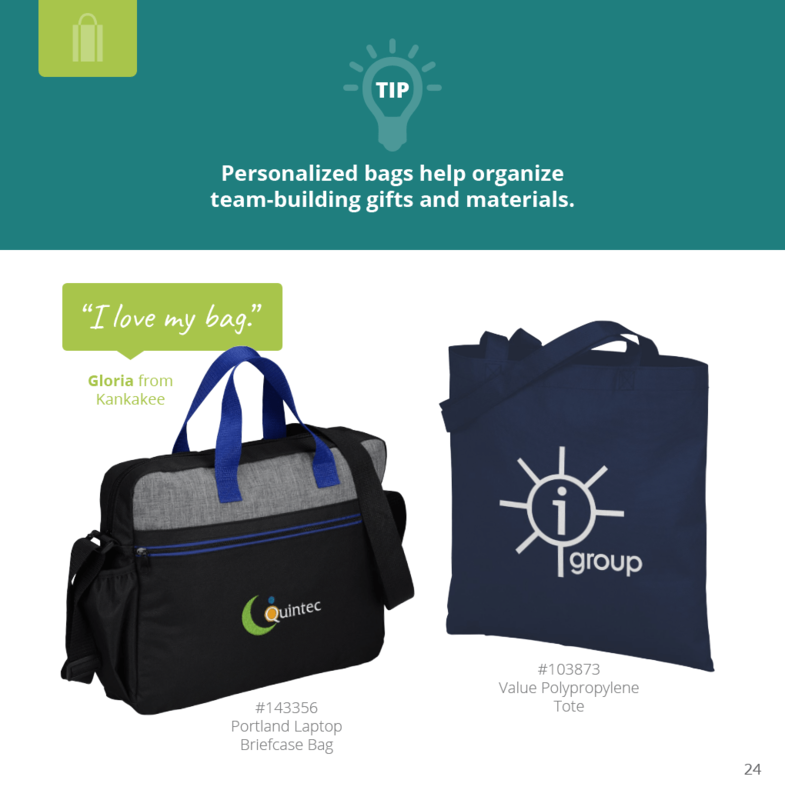 TIP: At job fairs, bags turn potential employees into billboards that help you find more potential employees! 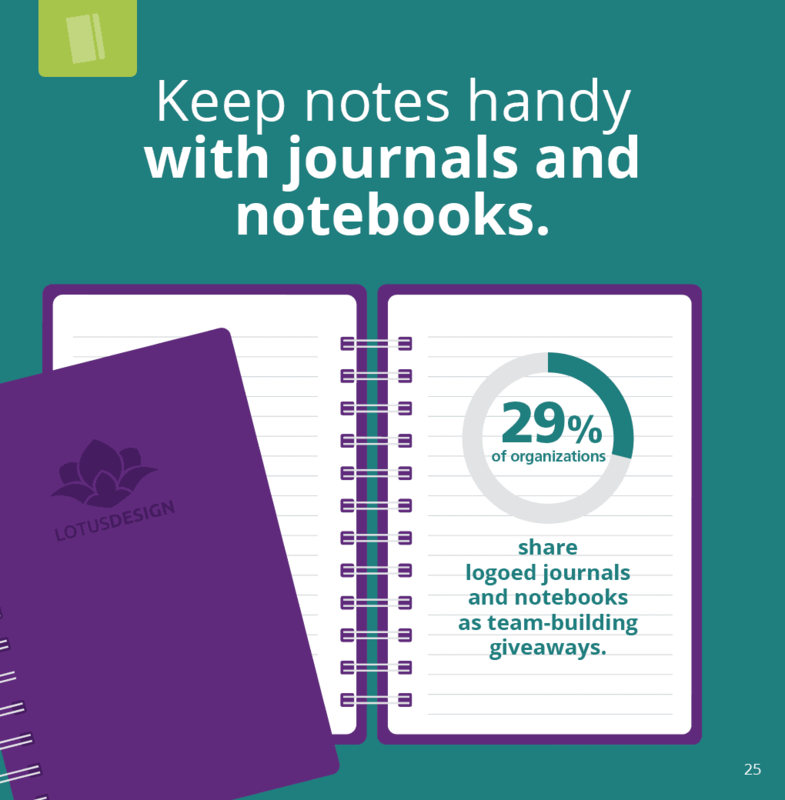 Almost 1 in 10 organizations found that branded notebooks and journals were effective for recruitment. TIP: Journals offer recruits the opportunity to jot down notes and questions during the interview process. 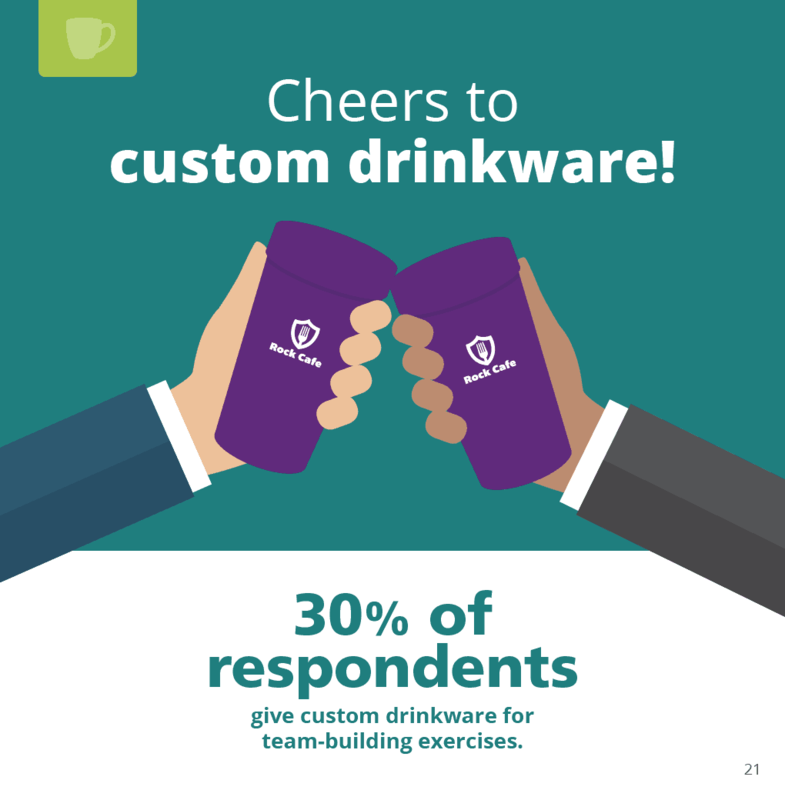 More than 1/3 of all organizations use branded drinkware for the recruitment and interview process. “Welcome to the team!” when someone accepts your job offer. 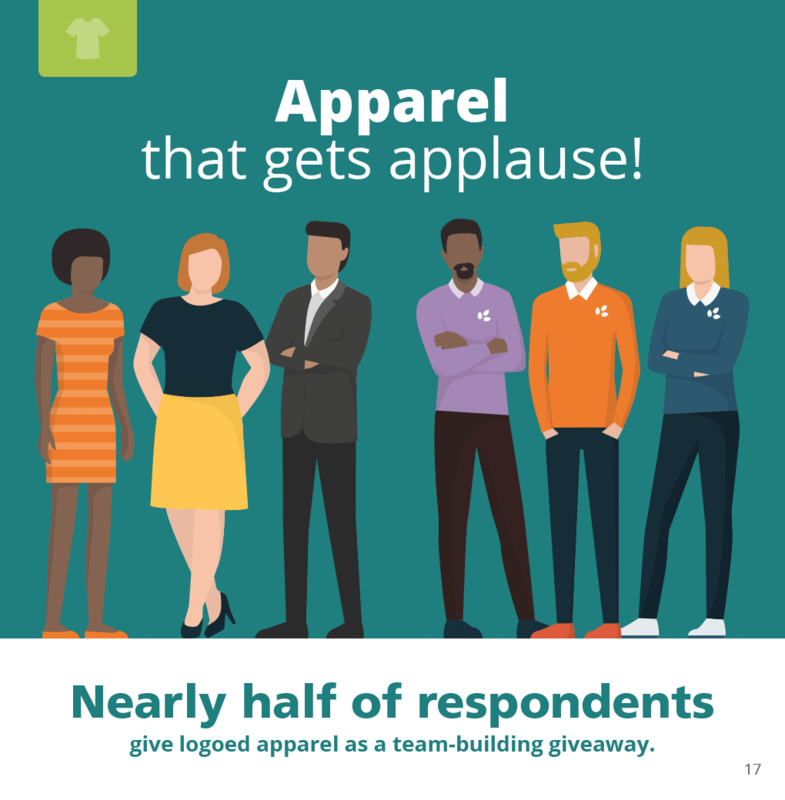 Logoed apparel is considered the most effective promotional product for recruitment. 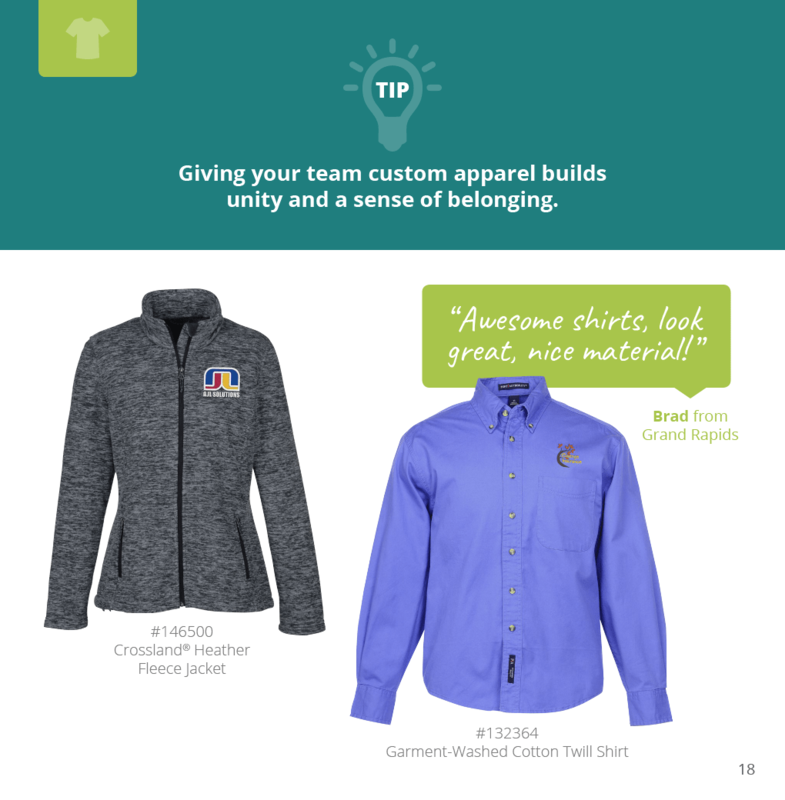 TIP: Offering an employee logoed apparel on their first day can make them feel like they’re already part of the team. 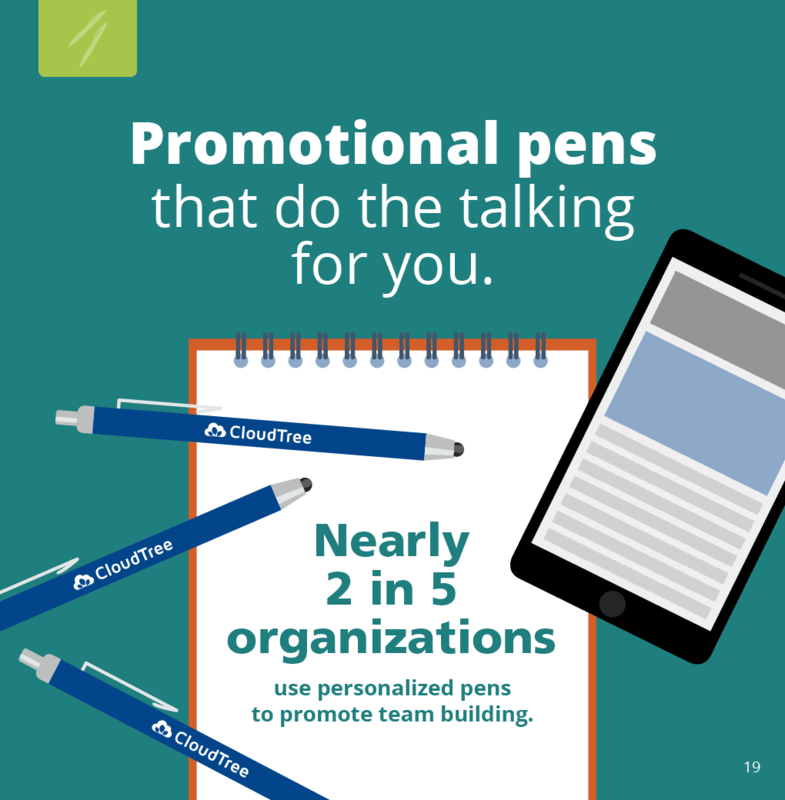 Promotional products add the finishing touch to your recruitment experience. Employee recruitment giveaways can serve as an introduction at a job fair, a congratulatory gift for getting the job and so much more. 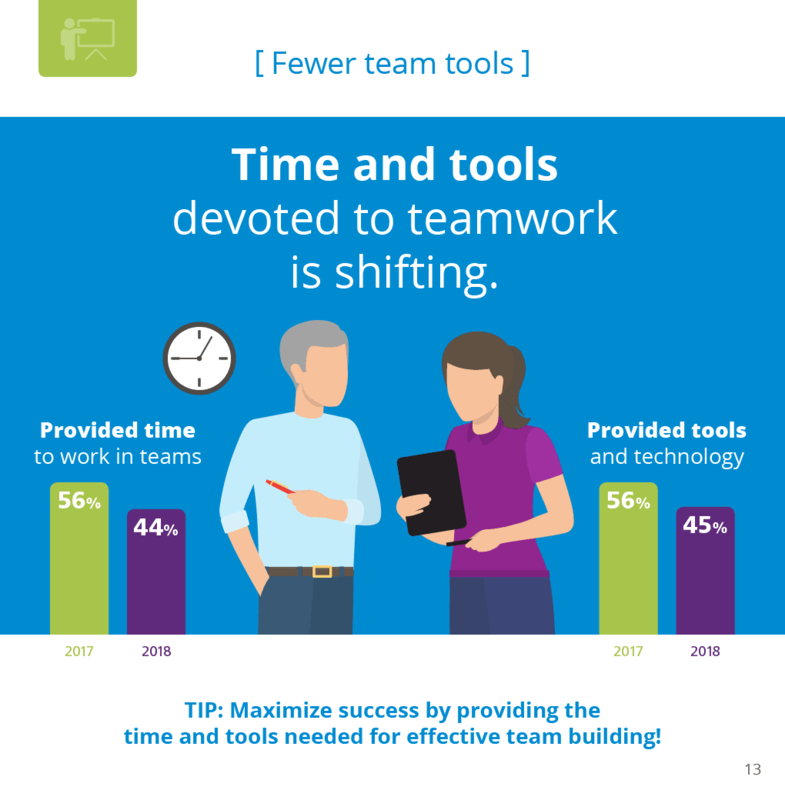 In this tight labor market, they can help set your organization apart. And that’s one important key to landing top talent! 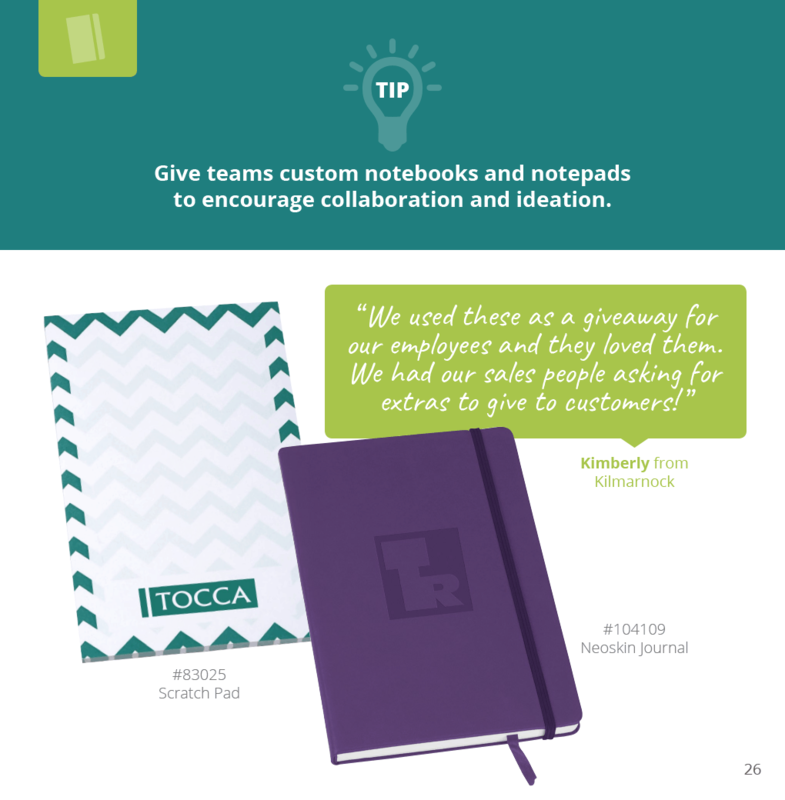 Share your favorite employee recruiting giveaways! 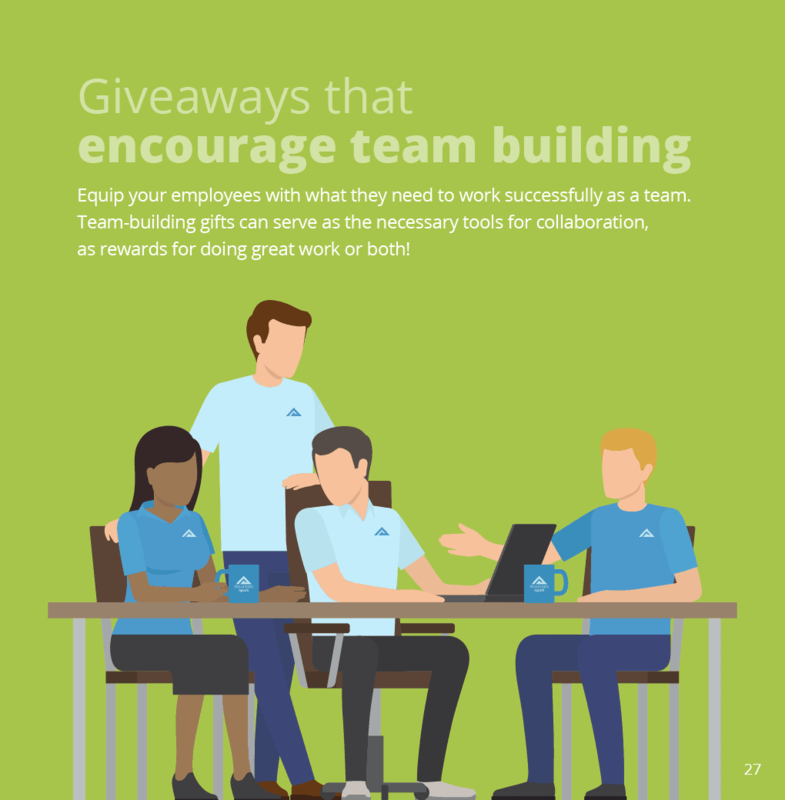 Do you have a favorite employee recruiting giveaway that has helped you find your incredible staff? Share your tips with us! 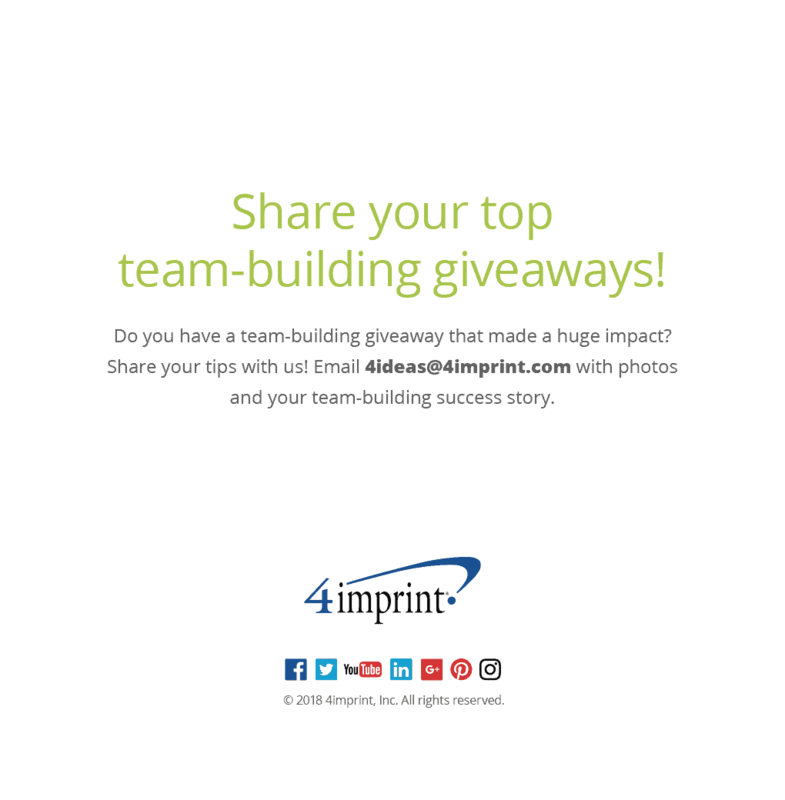 Email 4ideas@4imprint.com with photos and your recruiting success story. 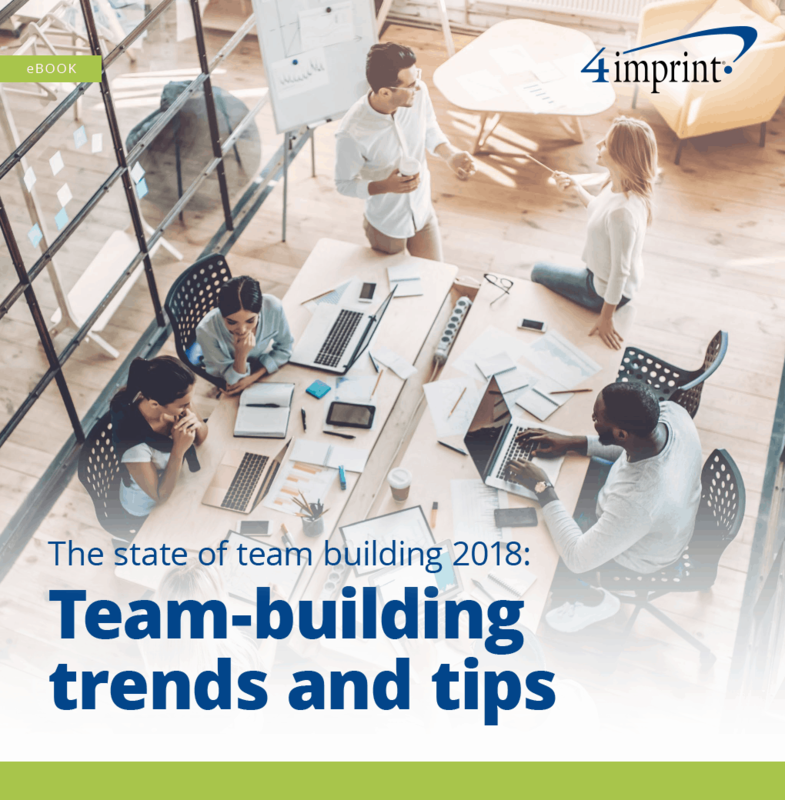 How does your company stack up against 2018’s team-building trends? The answers are in our free eBook. 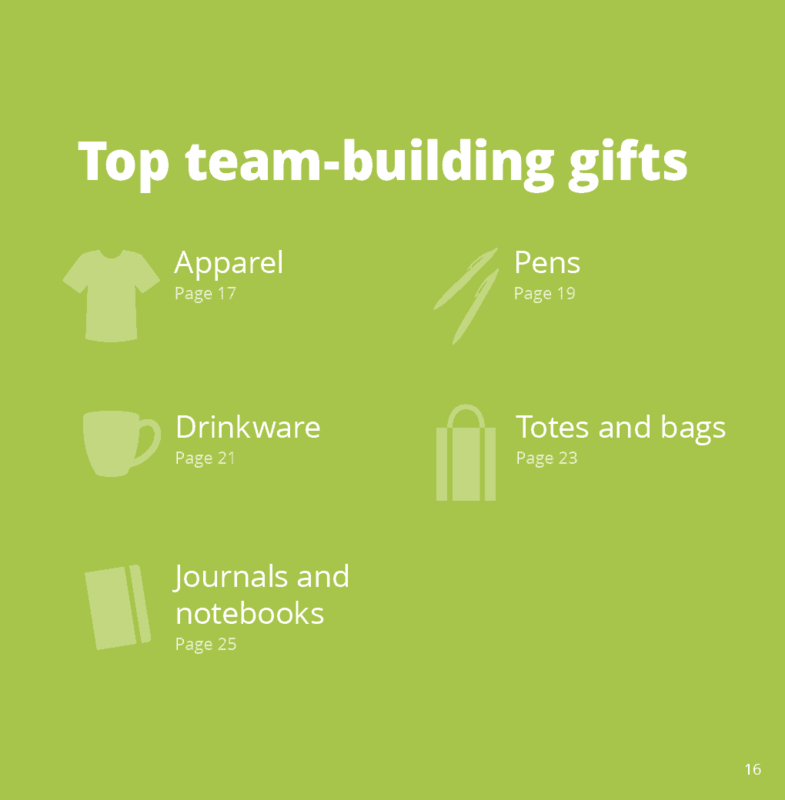 Inside you’ll find exclusive survey data, popular team-building gifts and helpful tips to bring your team success. Hello, 4Imprints is so quick and easy to order from. There is no need to order a product months in advance. Jason Hock is quick to respond to my emails! The products that I’ve ordered have been of good quality as well! hello, imprint is a great company and has really good customer service people, they are able to answer all and any questions I have ever had!! The overall performance is good. I have been very pleased with the items from 4 imprint. The staff is helpful and the turn around time is quick. The items I have purchased serves as good reminder to participants of the trainings. A new year brings new opportunities. Make this year's marketing plan a strong one with help from the latest tips and the best promotional items of 2018.